Harrisburg Nanny Agency Providing Local Families with the Best Nannies! Ask about New Nanny Attire! ABC Nanny Source has the Most Extensive Screening Process in the Industry! ABC Nanny Source is a Nanny Agency in Harrisburg that specializes in offering families with the most experienced, responsible, and trustworthy childcare providers. We are extremely selective in the Nannies we accept, and are therefore able to provide your family with exactly the caregiver you desire! We aim to provide each child with the individualized attention they deserve. A professional career nanny can provide stability and consistency in a child’s life. Each Nanny exhibits characteristics that encourage education, focus, motivation, and routine. ABC Nanny Source is a licensed, respected Harrisburg Nanny Agency with the industry’s highest standards in screening and professionalism. 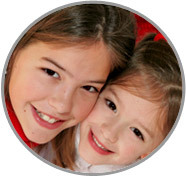 Our stringent requirements are what identify our Nannies as the best in the Harrisburg area. Safety is our number one priority! 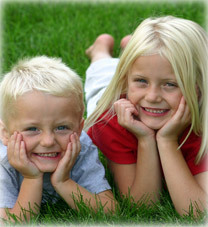 Your children will always be cared for by the most capable and experienced Harrisburg Nanny. We are the ONLY agency that requires their candidates to complete an unparalleled 10 Step Screening Process in order to be accepted. Each candidate has come to our office for a face-to-face interview with two different placement counselors, in addition to completing our extensive screening process. Each applicant’s credentials, demeanor, previous childcare experience and references are examined thoroughly. Our acceptance rate is 10%, enabling us to provide you with the most elite Harrisburg Nannies. ABC Nanny Source is proud to be able to provide each family and Nanny with dedication, commitment and understanding. We do all of the hard work for you! After discovering your family's needs, we will only present to you nannies that are qualified and interested in working for your family. No more contacting endless nannies online and receiving disappointing responses, or no response at all! This allows you to have a wealth of information to use in order to make an informed decision. Once you have made your decision, we prepare a Standard Offer of Employment proposal that outlines the details of your offer. This proposal is extremely clear and concise. We are extremely confident in each of our placements, which is why we offer a full ONE-YEAR GUARANTEE! We promise that hiring a Harrisburg Nanny through ABC Nanny Source is a positive experience! Our skilled and knowledgeable placement counselors are able to thoroughly answer any questions you may have. Please contact and ABC Nanny Source Placement Counselor today and start your search for the perfect Harrisburg Nanny! Click Below to View Nannies in the ABC Network!